We Be Jammin’! are the ultimate reggae band you can hire for your wedding party or event. Not only do they play all the ska, reggae and reggae pop standards you know and love, but they are incredibly versatile so you’ll also hear them perform cool reggae renditions of both classic and contemporary pop and r&b. As such they are suitable for any event, Caribbean-themed or not. And last but by no means least, they're a truly 'live' band who really know how to entertain with fabulous soloists and a rhythm section that can jam and groove with the very best! See them in YouTube video action or read on to learn more about the band in the insightful Q&A below. Specialist reggae music magazine, Crucial Riddims, caught up with Paul Cherrie recently to find out more about his latest live band project, ‘We Be Jammin’!’……. CR: How did We Be Jammin’! start out? PC: Well, I used to run a band called ‘Kaiso’. My background’s Trini so I love mih soca and calypso! In time, I found though that British audiences were loving how we played reggae in that band even more than the soca. And the only soca tune a lot of people know is ‘Hot, Hot, Hot’, which got kinda tired..
CR: You drift from a London to a Trinidadian accent quite a bit, which brings me to my next question… so, ‘We Be Jammin’- why the name? PC: You know it’s pure foolishness. It’s a joke name- a stupid phrase on a T-shirt you might find being sold on a beach when you’re on holiday. Nobody in the Caribbean would ever say this, but some white kid maybe in the States must have made it up. So it’s vibe is strictly tourist. WBJ- and yeah, I tend to avoid saying the name myself most times- ain’t meant to be a serious authentic reggae band. It’s a fun beach party style band. CR: But hang on, you do play a lot of Bob Marley and real reggae music- right? PC: Of course. 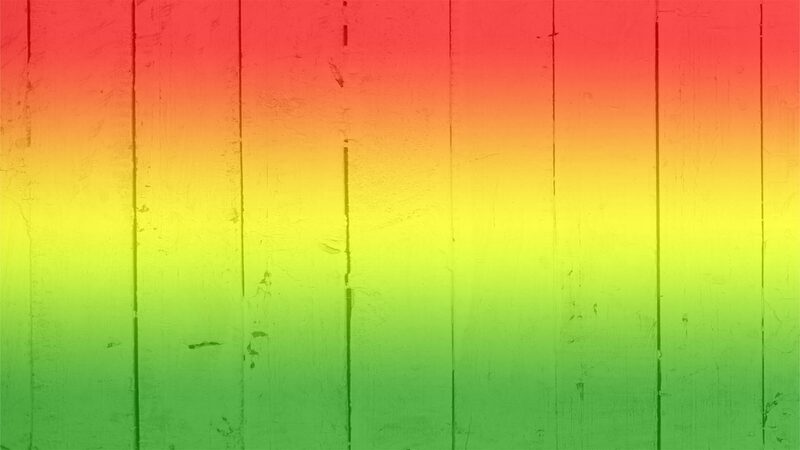 We play covers of many of the best reggae songs ever written. But the fun is in re-interpreting them into our sound. CR: So what sound is that? PC: I’m not sure it’s for me to say really. It’s in the ears of the beholder. CR: OK, but what would you like people to be hearing? PC: Well- really dancey reggae- ska, roots, lovers rock, dancehall, reggae pop, any ting and every ting reggae. I want people to hear their favourite tunes whether they’re reggae tunes or reggae pop tunes or rock anthems- I dunno… whatever, played in sweet reggae styles that have some other Caribbean riddims in them, you know, from other places like Trinidad and Cuba. Like I said before- I love my soca and calypso. You would have to add all the Latin American music that came from Cuba to that list. CR: I’m getting the impression that Kid Creole and the Coconuts in the Eighties may have been an important influence for your band. PC: Good spot. August Darnell (Kid Creole) was brilliant! He’s still going, too. He made a wicked brew out of pop, funk, calypso and Latin. He didn’t touch reggae much, but the man has a lot of style! Used to love those zoot suits! CR: And he wrote some great songs. PC: Yeah, but boo-hoo, we’re just a covers band. CR: Don’t beat yourself up. If you’re not playing strict covers, couldn’t you say you’re not really a covers band? PC: No. We will perform some original songs in the future, but right now this is a covers band. We’re just not interested in playing slavish tribute versions of other people’s tunes- however great the originals are. I’m not putting down people who do that…..
CR: ‘Slavish’ doesn’t sound very complimentary. PC: I get that, but it takes great listening and often great playing too if you’re going to produce a ‘live’ replica of a great record so I mean no disrespect. The slave part comes from having to give up your own individual musical personality to be able to do it. We don’t want to do that and we don’t really want to please an audience that would want that. I want people to look at our song list- and man, we got a lot of songs- and make their requests up front. But if you only want to hear the record’s performance- hire a DJ! CR: So is that the best choice for anyone wanting accurately covered reggae music for their party? PC: Ha! Nice try, but you’ll never get me to recommend a DJ ahead of any live reggae band- let alone my own. A lot of DJs are a damn sight cheaper than booking bands even when they bring a big sound system so I guess that the economics gets to have the biggest say nowadays anyhow. But, I love what DJs have done for reggae music and if I can I like to bring my own to WBJ gigs. He plays opposite us most of the time, but sometimes during our set he also likes to do some toasting! CR: So he does the toasting and you do the jamming? PC: Yeah. Nice one, but I think you now need to show me some i-d.